Michael Gorman spent three years on the board of Green Top Grocery. He joined the board shortly after the first GM was hired, took part in the groundbreaking for the brand-new building, and witnessed opening day in his first two years. At the start of his third year on the board, he was elected President just days after the ten-month-old store announced that it was on track to run out of cash in under a year. Outside of Green Top, his community involvement has included founding a successful bicycle advocacy organization, serving as a board member for the local metropolitan planning organization and a large local environmental nonprofit, lobbying for the creation of, and later chairing, his city’s transportation commission, and working with many local political campaigns. 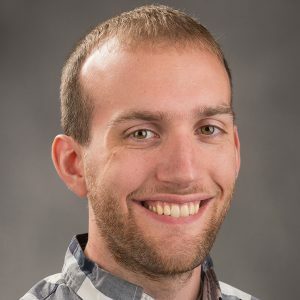 Professionally, he spent the last eight years as the web developer for Illinois Wesleyan University and recently moved to Chicago to pursue a masters degree in public policy.